FromSoftware's ‘SoulsBorne’ series has plenty of defining features that set it apart from its contemporaries. Obtuse storytelling. Mercilessly precise combat models. Mazelike hubs to explore. But none of these elements hold quite as much tangible power as the series’ (mostly) breathtaking bosses. From the tag-team nightmare of Orstein and Smough to the onslaught of Father Gascoigne, these are the big bads that stay with you long after the game has been returned to its shelf. But what if you could do away with all the exploration and busywork that tied those monolithic monsters together and get straight to the boss fights? 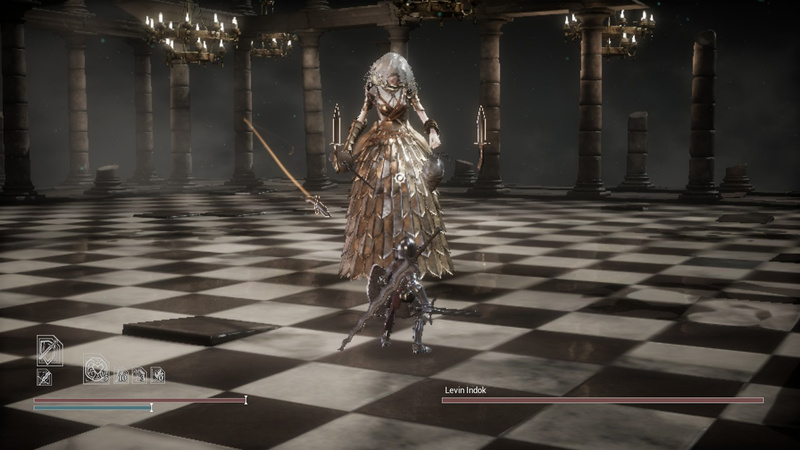 That's clearly the question developer Dark Star wished to pose with Sinner: Sacrifice for Redemption, a boss-rush experience that distils that familiar SoulsBorne experience into eight distinct fights, but unfortunately, the answer it gives fails to leave the same kind of impact as its inspiration. Not that certainly doesn’t try. As a ‘nameless wanderer’, you begin the game as you would a good 10-15 hours into a similar kind of action-RPG. You’ve two swords - one regular sized, and another considerably larger - and you’re already armoured up the nines. 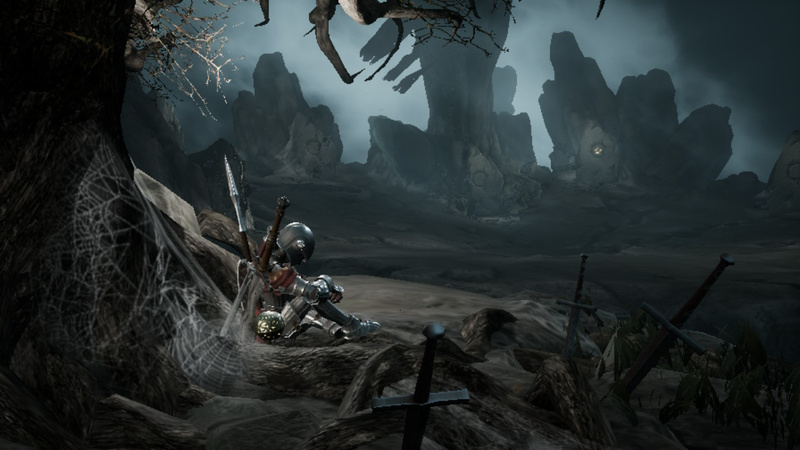 But bar a few spectres you need to defeat in order to learn the game’s simple controls - boiled down to the usual roll/lock-on/light attack/heavy attack setup that’s serviceable, but lacks the weighty heft of the Souls series - you’ll soon reach a handful of stone altars. Before you open a portal to enter each boss battle, you’ll need to make a sacrifice that places a certain debuff on your character. From restricting how much you can heal to making your shield prone to shattering, the game wants you constantly feel at a disadvantage. It’s a mechanic that doesn’t make much of a difference in the first couple of fights (you can choose the order you face the first four bosses) since you’ve had no influence on the build of your character, but you’ll feel these ‘sacrifices’ far more acutely the longer you play. By the time you reach the final boss, you’ll need to take on all of these debuffs in the same fight, although you do get the opportunity to choose in which order you have to endure them, so you won’t have to have your stats crippled all at once. 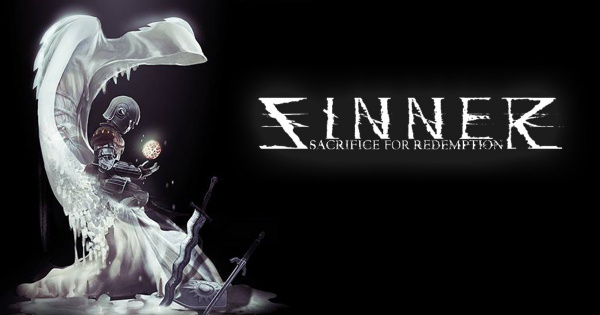 This ‘levelling down’ mechanic can make Sinner an incredibly frustrating experience at times, especially if you’re new to this kind of game, but it creates a powerful sense of satisfaction once you’ve solved the puzzle of each boss pattern and overcome the limitations of the selected sacrifice. Defeating a boss also grants you an enhanced stat, so you’re able to offset those disadvantages a little as you progress. As you’ve probably guessed, the bosses are clearly big selling point of Sinner and, thankfully, they’re the game’s most notable highlight. Based on the seven deadly sins, each one has a unique design, attack pattern and set of escalating phases. If you’ve had any experience playing Bloodborne or any of the four Souls games, you’ll know what to expect in terms of sheer scale and immediate difficulty. If not, then you’re about to get a painful education in precision movement and taking advantage of split-second windows of opportunity. While some are a little predictable in design for an action-RPG with a familiar European medieval theme - such as the giant knight Rhodes and his equally monolithic shield/pike combo - there are some really breathtaking ideas at place elsewhere. The split personality of Levin Indok and Levin Undock (who pulls off one head and replaces it with another, which completely changes her attacks and movement speed) is one of the best and the most challenging, especially when both her forms attack you at once. However, for all the work that’s gone into bringing these imposing figures to life, the same sense of creative consistency can’t be levelled at each respective arena. Some have a real sense of character that really suits the sin on which they are based (such as the Alice in Wonderland-esque setting used for the Levins), but others are lacking in memorable mise en scène. The icy domain of Camber Luce is almost completely void of detail, which makes it increasingly difficult to judge distances (something that becomes a real issue considering one of Luce’s main attacks creates giant sinkholes in the arena). The Nintendo Switch port of Sinner runs surprisingly well. 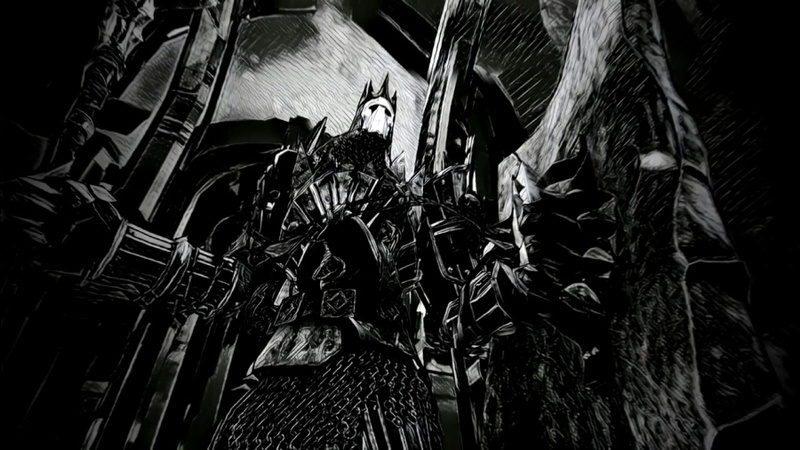 The framerate is mostly consistent, although assets and textures have taken a bit of battering in order to get the game running on humbler hardware. It’s not a massive issue as you’re unlikely to be stopping to admire the visual fidelity while you’re rolling to avoid a devastating attack, but the blurriness and jagged edges are hard to miss all the same, especially when compared to other console ports. Sinner: Sacrifice for Redemption is a valiant attempt to cut away some action-RPG fat in order to get to the meat of its boss battles, but a lack of consistent quality makes this boss-rush concept a frustrating experience at times (and not for the reasons its developer likely intended). The combat lacks the heft of the series that inspired it, so while Sinner looks much like the Souls games, it never captures (or innovates upon) that familiar combat model. 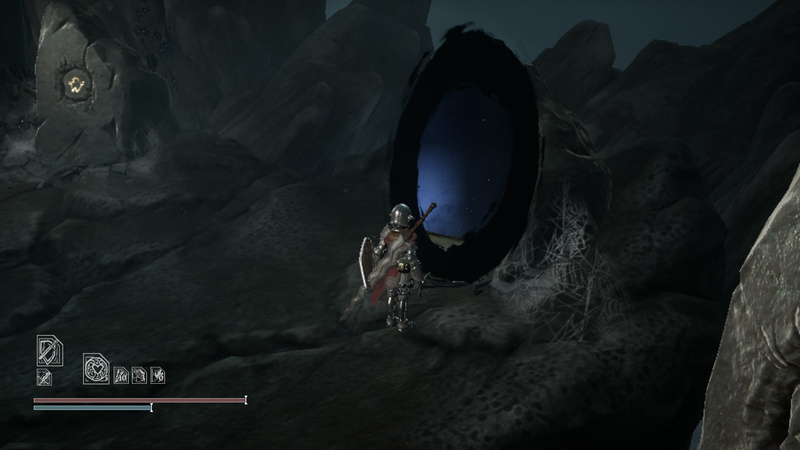 There are some great boss designs to take on here, but this is very much a curio for Souls fans who want something to do in-between playing the vastly superior Dark Souls: Remastered. I was initially interested in this until I found out it was just a boss rush game. I'll hold out for the sequel, "Confession: Sacrament of Reconciliation". That must have been the worst video game review I've ever had the displeasure of reading. Look at all the pretty colors! I'd rather have the exploration parts with small enemies, and no bosses! Anyways, for such a small team of programmers it doesn't sound like they did too badly. @Gibb How so? I find it to be one of Dom's better written reviews. After the trash review saying the same things about Salt and Sanctuary I can't take these reviews seriously. I just hoping that it wasn’t just a boss rush. I would have already purchased it if it was say a mega man style game. Each boss had a level, linear or not, then a mid boss and a main boss. But it’s a boss rush game that’s isn’t even nearly as good as shadow of the collosus. If it was $10 or less, I’ll get it. Seems like it plays fine and everything. And the biggest complaint everyone has about leveling down is no different then a games difficulty increasing as you play. In dark souls, if you don’t level up and just rush each area, never going back to replay and explore, then it gets harder. Leveling up helps take this away. But still, not getting sinner until it’s cheap. I hope decay of logos turns out good, or I’ll be playing dark souls for another 1500 hours. I picked this up on PC but returned it after playing for 30 minutes. I'm a big fan of the Soulsbourne games and really enjoy most of the games inspired by Souls, but this one was just bad. The combat felt really off. Man, I was initially interested in this game but it just looks so shallow the more I see it. It seems like a Dark Souls clone but without any of the environmental storytelling or atmosphere that really set that game apart. Even boss-focused games like Furi and Jotun have cutscenes and minor exploration parts in between fights to build the world and lore. Without those, Sinner just seems empty by comparison. If it was a full fledged game and had opted for a more mature visual look, I would have probably given this a try. But, this weird kiddy style boss rush game doesn't grab me, sadly. Awwwwwwwww! What a disappointment. This looked AWESOME from the trailer. But who needs another boss rush, let alone a game that is nothing but. The relatively low price-point was a red flag, but still, I hoped for better, like maybe the game was just kinda short and could one day be expanded with DLC. The bosses LOOK amazing, but if they are all there is, that leaves next to no context for why beating them would be satisfying. And the "Youre at a disadvantage" aspect is probably annoying..
Really tired of all these Dark Souls wannabe games that just put an emphasis on punishing difficulty without the charm. I bought and I am playing the game. The game is amazing. Similar to Monster hunter but with superior combat. This bosses are a lot more interessant than the dinosaurs. The score given can't be serious. But the level of dificult is beyond monster hunter and dark souls level. I recommend just to who like challenges. Because let me clear: this game is really hard. Dark Souls is a easy game compared to this one, till the point it can be frustating, if not played very, very, very carefully. Or yet, after some time, can be frustating even this way. Yeah they released this game at the worst possible time. I preordered dark souls, which arrived today, back when Amazon was offering discounts on preorders. I had, and have, no intention of buying this "me too" Johnny-come-lately. Just one question...why go out of your way to release it in the same day as Dark Souls?! Feels like an okay-ish game, but releasing alongside Dark Souls is just the worst timing ever. I'm somewhat impressed that they manage to ape this closely the visual feel of a game that is known for unclear art direction. @MisterMan Same here man. I've put hundreds and hundreds of hours between all the Soulsborne games, as well as a few clones, like The Surge. This game, however, is an absolute mess. The devs completely missed the mark on the "hard but fair" formula that FromSoft nails with their titles. The combat and performance are extremely rough in this, not to mention that a lot of the bosses and their movesets are ripped right from the various Souls games. After an hour of playing I completely uninstalled it. I am still pretty pissed that I wasted $20 on this garbage.